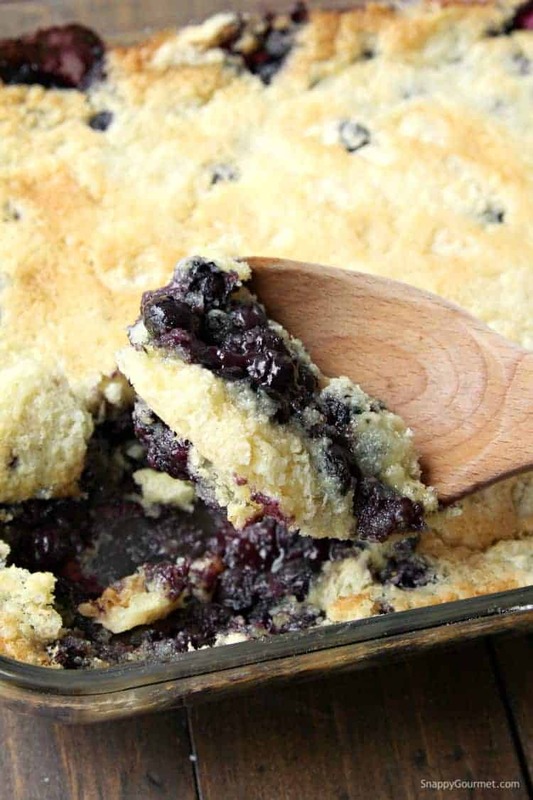 The BEST Blueberry Dump Cake recipe! 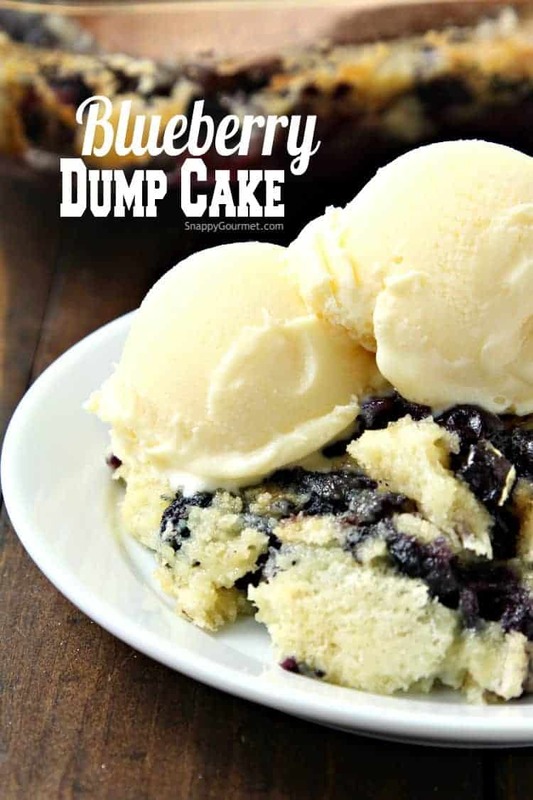 How to make a dump cake with only 7 ingredients including fresh or frozen blueberries, a cake mix, buttermilk, and a little orange to make the best dump cake! Like a dump cake cobbler and so EASY! 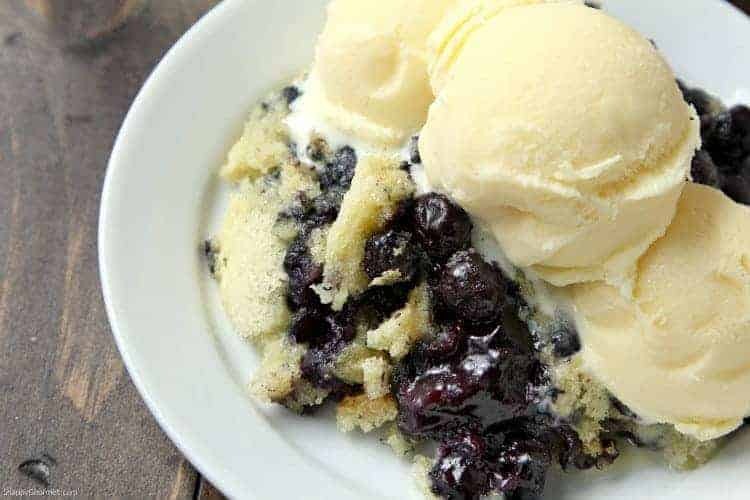 This Blueberry Dump Cake is another great dump cake recipe to add to my collection including my Pina Colada Dump Cake and Caramel Apple Dump Cake. I hate to say it, but think this Blueberry Dump Cake may be my favorite so far. I tried something a little different and had great results! Will explain more later, but for now, if you’re craving an easy blueberry dessert, check this one out! 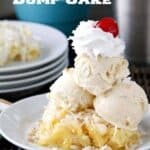 If you’ve never heard of a “dump cake”, don’t worry, it’s a lot better than it sounds! Dump cakes generally don’t involve a lot of work or mixing bowls. You “dump” fruit, pie filling, etc. into a pan, spoon a cake mix on top, then top with slices of butter or melted butter. The dump cake is then baked, and comes out almost like a cross between a cobbler and a crisp. 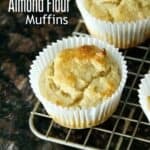 The filling of a dump cake could be a wide range of things including fresh or frozen fruit, pie fillings, canned pumpkin, or just about anything you can think of. 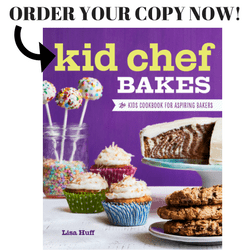 As far as the cake mix, you can buy a boxed cake mix or make your own. Any flavor will do! 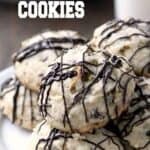 Dump cakes are so easy to make and can easily be changed with your favorite flavors. 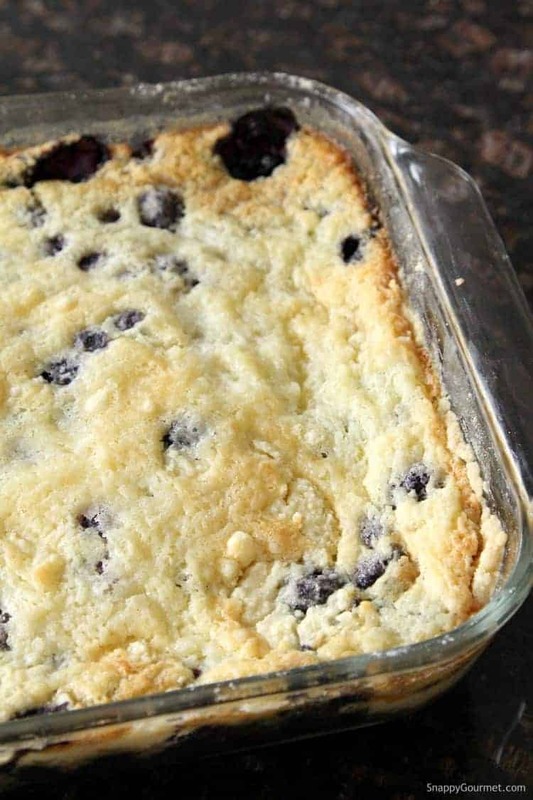 For this Blueberry Dump Cake, start by preheating your oven. Butter a 13×9 inch baking dish or you could use two smaller baking pans. Next, add about 8 cups of defrosted frozen blueberries. I will say, 8 cups of blueberries created quite a thick layer of blueberries. You could easily use 4-6 cups of blueberries, if you don’t want that much fruit. You could also try using fresh blueberries or use a blueberry pie filling. Stir in the orange juice and zest into the blueberries right in the pan. No need to dirty a mixing bowl! Then stir in the flour. The flour will help thicken all the liquid from the frozen blueberries. Sprinkle the cake mix on top of the fruit filling to create a thin even layer and so all the fruit is covered. I used a Duncan Hines yellow cake mix, but you can use any flavor or brand. 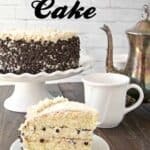 I’ve heard some of the “pudding” type cake mixes don’t work as well with dump cakes so I’d suggest just picking out a plain traditional yellow type cake mix. This is where I tried something a little different. Mix the melted butter and buttermilk together, then pour over the cake mix. Don’t stir! Just let the liquid sit on top and it will soak in as it bakes creating an almost cobbler crispy top. 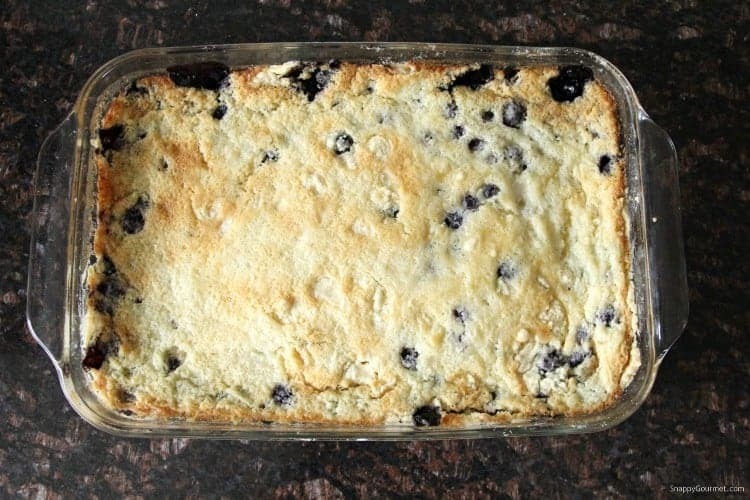 Bake the Dump Cake for about 45-60 minutes or until the top is golden brown and crispy, and the blueberries are bubbling around the edges. Let the Blueberry Dump Cake cool for a little while, then serve it warm or room temperature. I personally love it warm with a little vanilla ice cream or whip cream on top. It’s kind of like a dump cake cobbler! You may be a little unsure about the fresh orange juice and zest in this dump cake. Please don’t skip it! 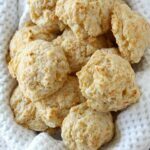 It adds just a hint of orange and citrus that is really delicious! If you don’t like blueberries, you could try other fruits and turn this into a cherry, peach, or strawberry dump cake. If you like cherries, check out my Easy Cherry Dump Cake. 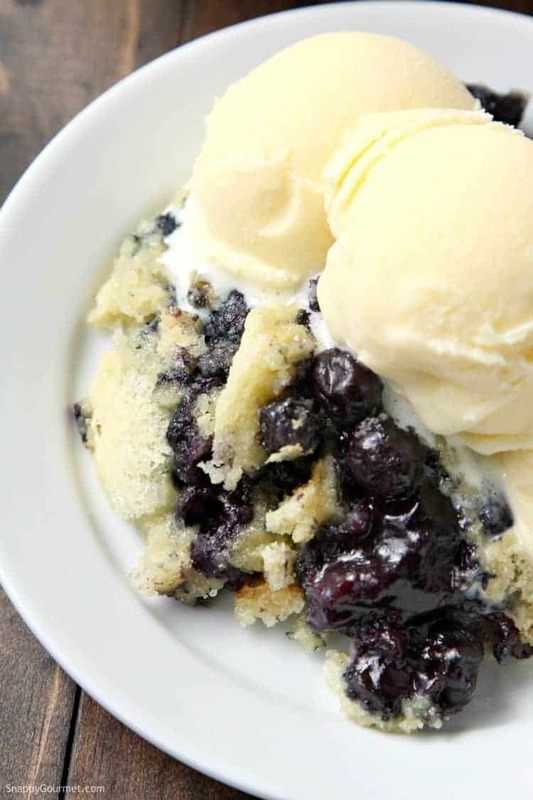 It is very similar to this Blueberry Dump Cake but with frozen cherries. You might be able to make this in a slower cooker, but I haven’t tried it, so can’t say for sure how it will turn out. I personally like how the oven makes the top a little crispy which I don’t think you will get with a crock-pot. 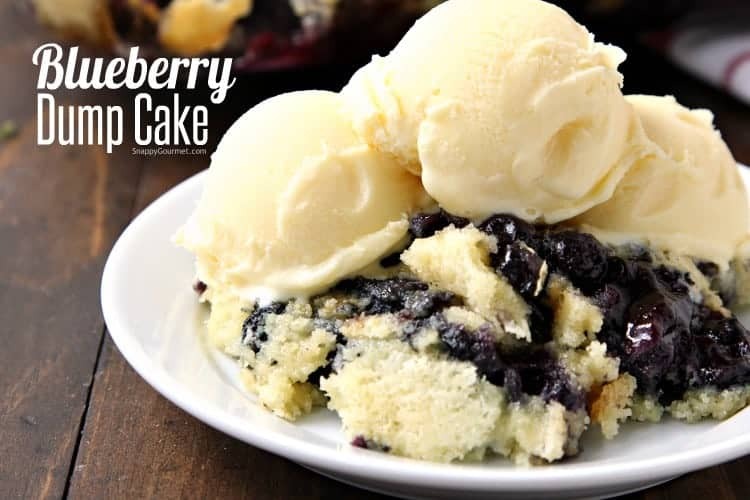 Hope you enjoy this easy Blueberry Dump Cake recipe! 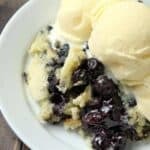 Blueberry Dump Cake recipe, how to make an easy dump cake with frozen blueberries and a cake mix. Preheat your oven to 350 degrees F. Butter a 13x9-inch baking dish. Add the blueberries to the baking dish. Stir in the orange zest and orange juice. Stir in the flour. Spread the blueberries out to form an even layer. 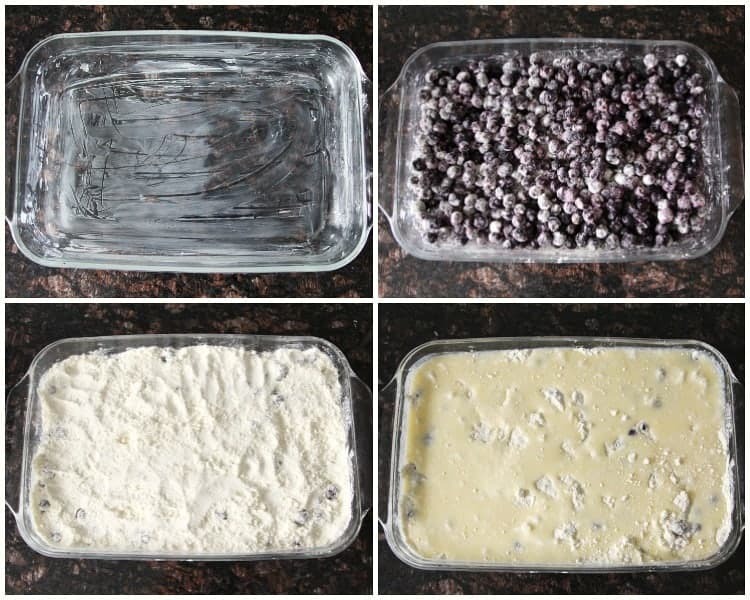 Spoon the cake mix out in an even layer over the blueberries. Mix together the melted butter and buttermilk, then pour over the cake mix in an even layer. Tilt the pan as needed for butter and buttermilk to cover top evenly and cover the dry cake mix. Bake the cake at 350 degrees F for 45-60 minutes or until golden brown and the blueberries are bubbling. SNAPPY TIPS: Fresh orange zest and juice makes a big difference, so I don't suggest leaving it out. Some people have mentioned cake mixes with pudding do not have the best results so I'd suggest using a classic yellow cake mix without pudding. SNAPPY SUBSTITUTIONS: Instead of buttermilk you could substitute milk. Instead of blueberries you could use other types of fruit. Just sprinkle or spoon the DRY cake mix on top. Do NOT make the cake according to the directions on the cake box. Then yes, pour the butter and buttermilk on top to create the cake layer. 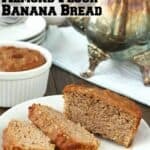 Omg this with ice cream top is the perfect dessert for me and so easy too!